Have the recent ructions in the Treasury market begun to impact the residential mortgage market in NYC yet? No. Well, at least not yet. Mortgage rates have only ticked up about 20 basis points in recent days. Based on conversations we had with a couple of mortgage officers, the real estate market in the city has been hitting its stride, if not quite robust. But clouds are forming, and yes the Treasury market is a warning sign. Jeffrey Appel, a loan officer at Bank of America agrees there’s no doubt the outlook on rates is higher, saying that a 100-200 basis point move would “slow things down a lot,” adding that “pricing pressure is something we’re concerned about” right now. That’s when the mortgage market officially enters a post-Fed period, as Bernanke will not have his finger on the BUY button all day.How big of a deal is this? 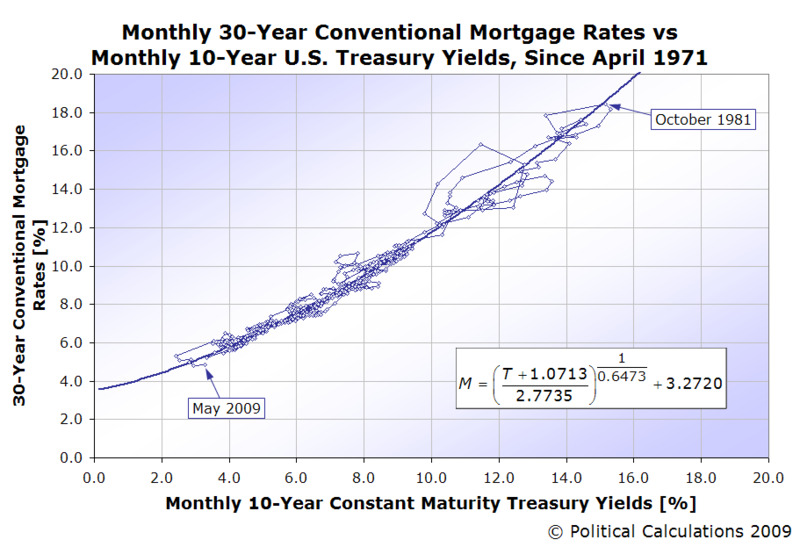 Based on this calculator at Political Calculations (via Calculated Risk), the average normal 30-year mortgage should be around 5.72% based on 10-year yields 3.88%. Right now however, mortgage rates are sub-5. The upshot is that the 100-250 basis point move that both Appel and Cohn are concerned about is not that far out of the realm of possibility. 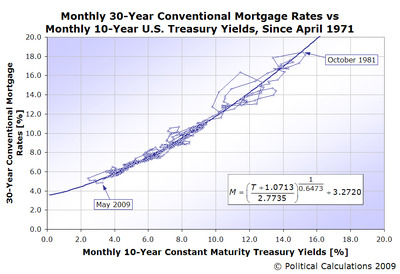 Take away the Fed mortgage buying, and take away and add more pain in the Treasury market, and voila, there you go. Higher rates, higher mortgages, slower sales. Beyond the Fed, the other big issue is Fannie Mae, and its insistence on actually following its own rules. Both pointed to last week’s news that Fannie Mae would no longer finance loans in Battery Park City as a major negative development for NYC housing. Among the problems: Too many NYC buildings violate Fannie rules, such as having more than 10% of units owned by a single owner, or not having enough money explicitly set aside for repairs or developments. Basically, the NYC market is not made for a Fannie and Freddie world, and during the boom, when nobody was paying attention to standards this was fine. Now this is a pain point, and it’s holding back the NYC market. That being said: our guess is that Fannie will cave in some manner eventually. If rates surge, and the New York housing market is really held back (despite a solidly recovery), expect them to find a way.